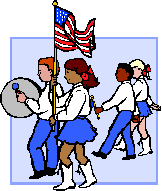 What:Â Woodstream Neighborhood Parade for kids.Â Wear red, white & blue.Â Decorate your strollers, scooters, & bikes. On Wednesday, June 5th, from 8:00 a.m. to 2:00 p.m., there will be a NO PARKING ZONE in front of 7952, 7954, 7956, and 7958 Pebble Brook Court due to tree work.Â A crane is required to removed two hazardous trees behind these townhomes, and the crane will need room to maneuver in front of thoseÂ addresses.Â On Wednesday morning, any vehicle parked in front ofÂ those addresses will be towed at the owner’s expense.Â IfÂ you have any questions, pleaseÂ contactÂ HOA president Mike Hoover at 703-569-9833. Join neighbors as we pick up garbage, litter & debris. Show your love for our neighborhood and help beautify our community. Thank you! Many hands make light work so bring your friends and family. gloves, trash bags, rakes, buckets, wheelbarrows, shovels & hand wipes. Please utilize the dumpster that will be in our community from June 7th â€“ 11th. Be sure to check the woods behind your home for any trash/debris and place it in the dumpster or on the curb. Volunteers will be picking up trash on the curbs and putting it in the dumpster on the morning of June 8th.